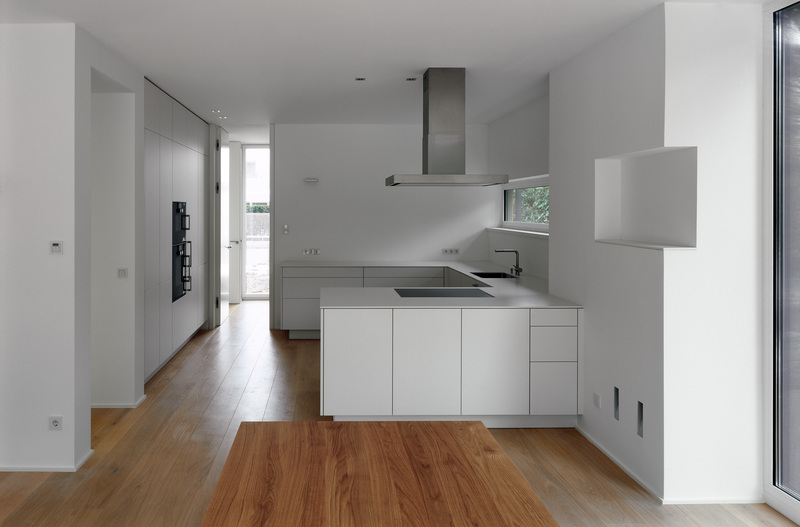 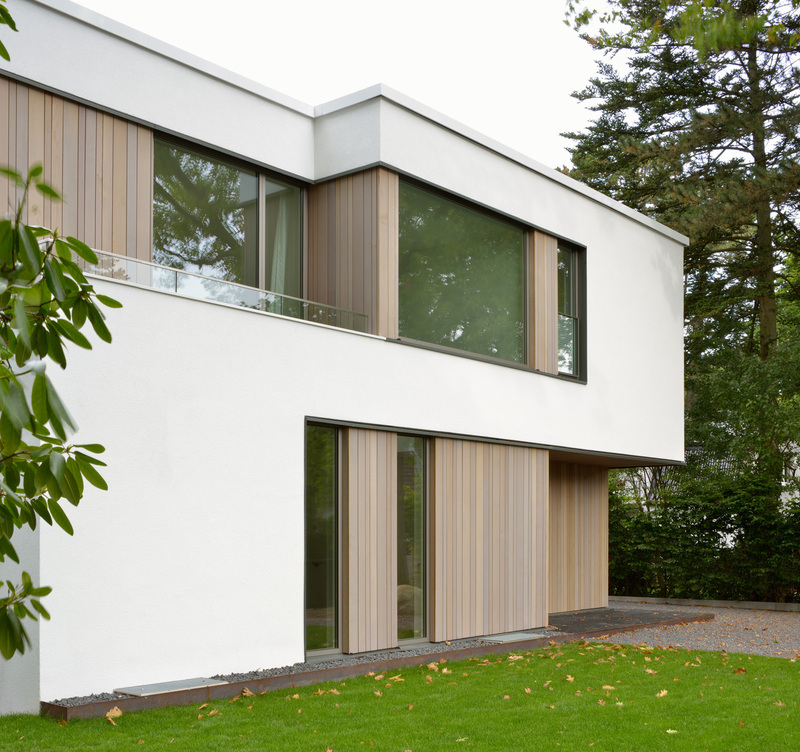 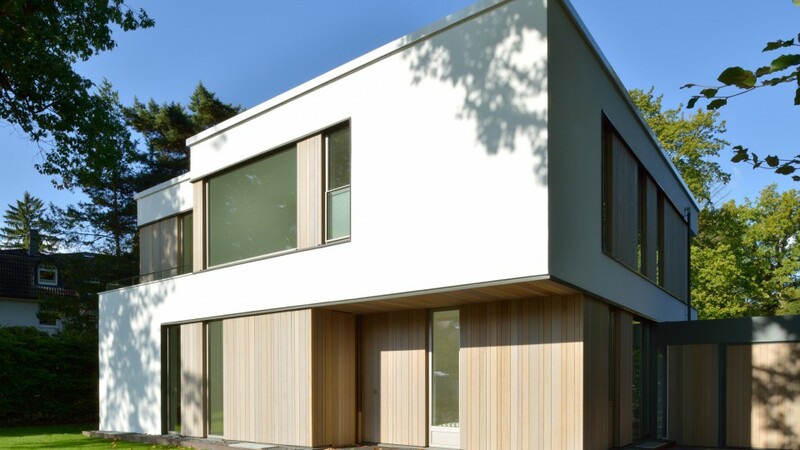 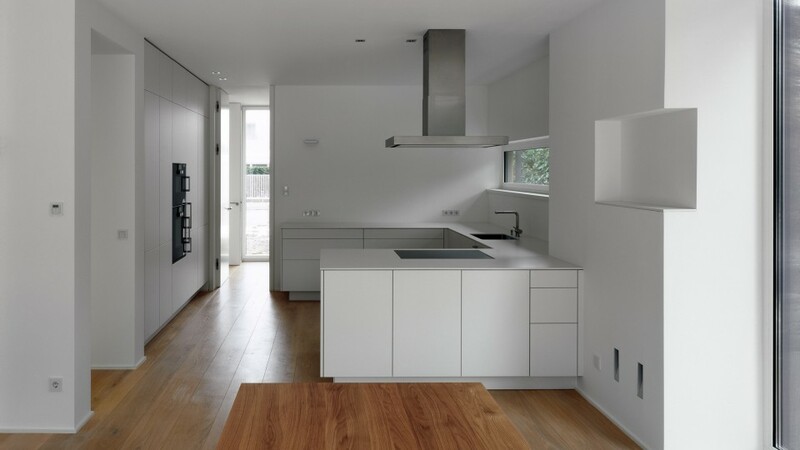 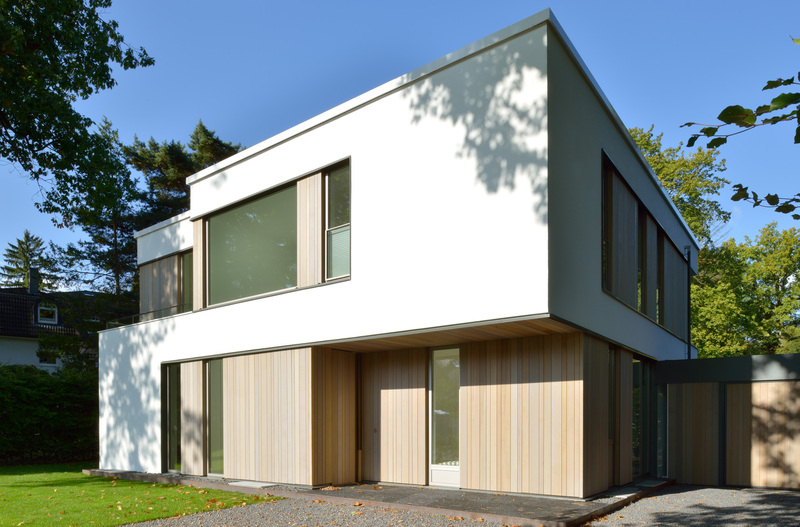 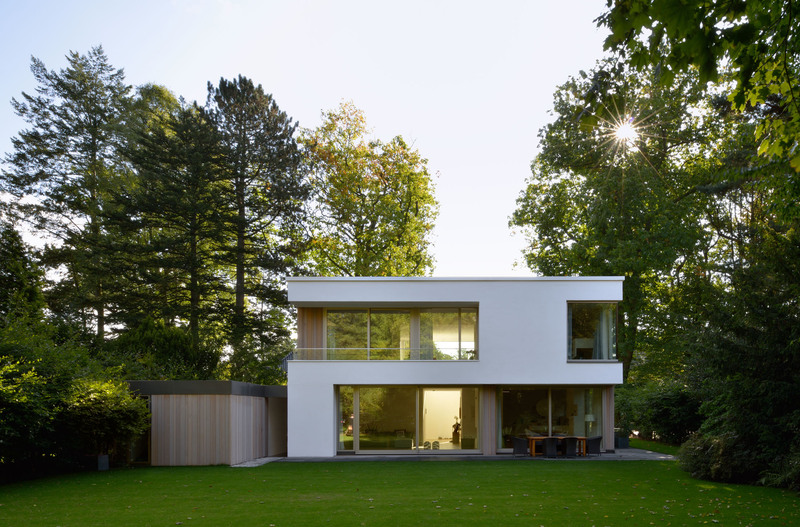 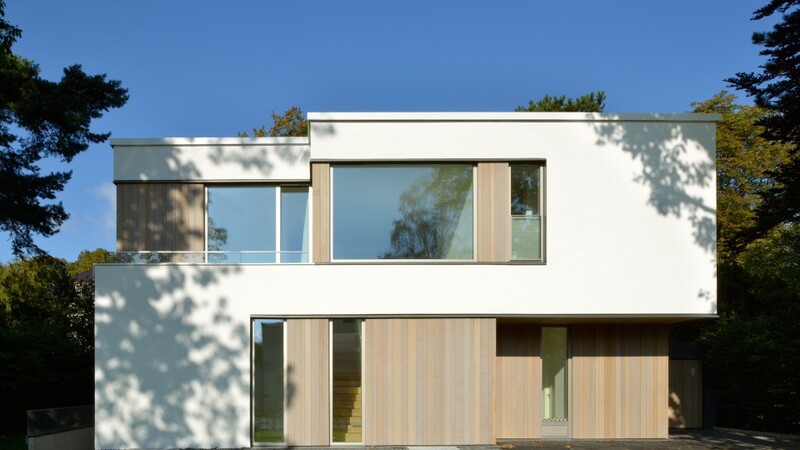 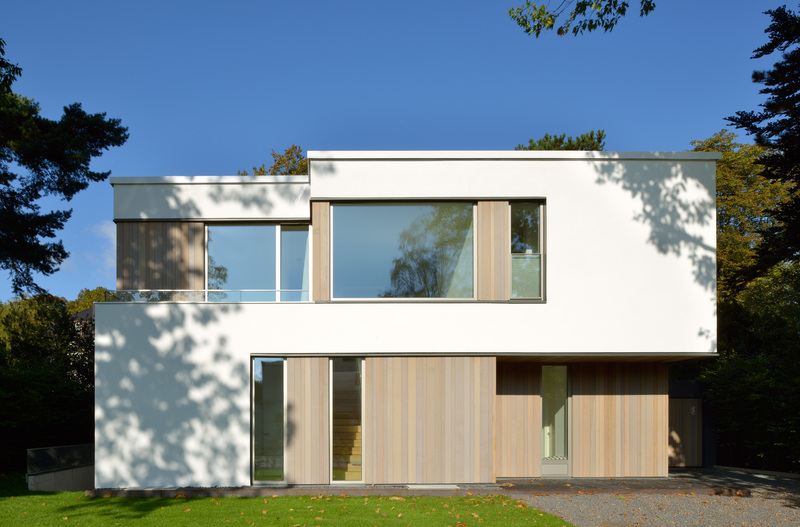 The two-storey, detached family home is located in Nienstedten, a leafy neighborhood in the western part of Hamburg. 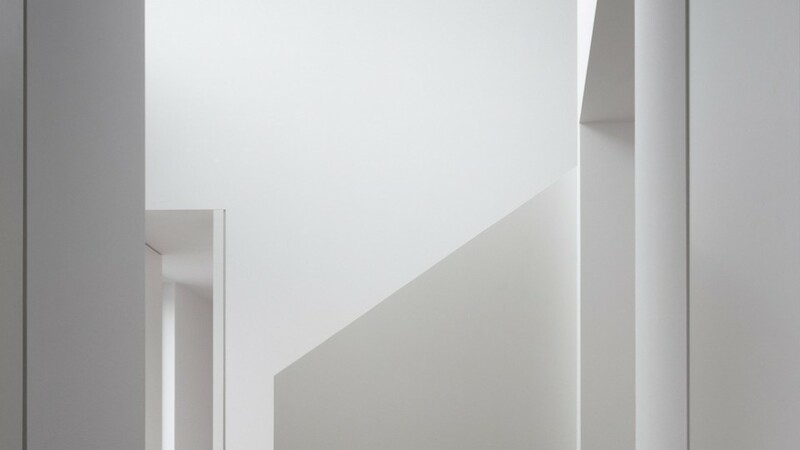 Projections and recesses structure the cubic form of the building and lead to the simple creation of covered outdoor areas and loggias. 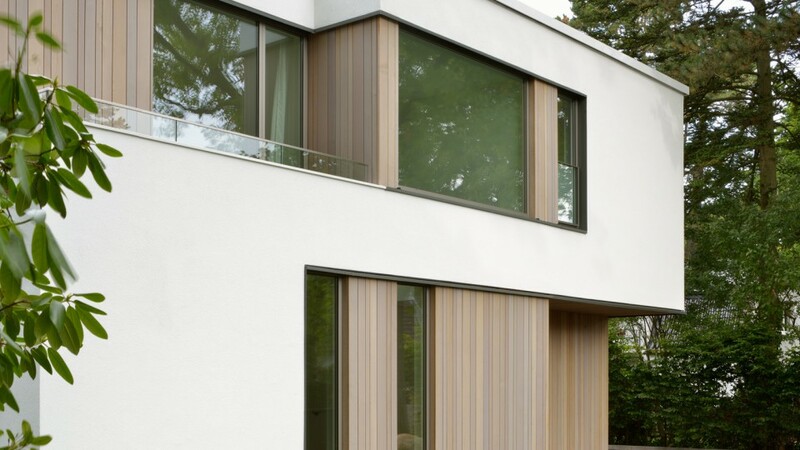 Cedar elements made up of vertical slats in three different widths break up the white plaster facade and create a vivid colour contrast between light and dark surfaces. 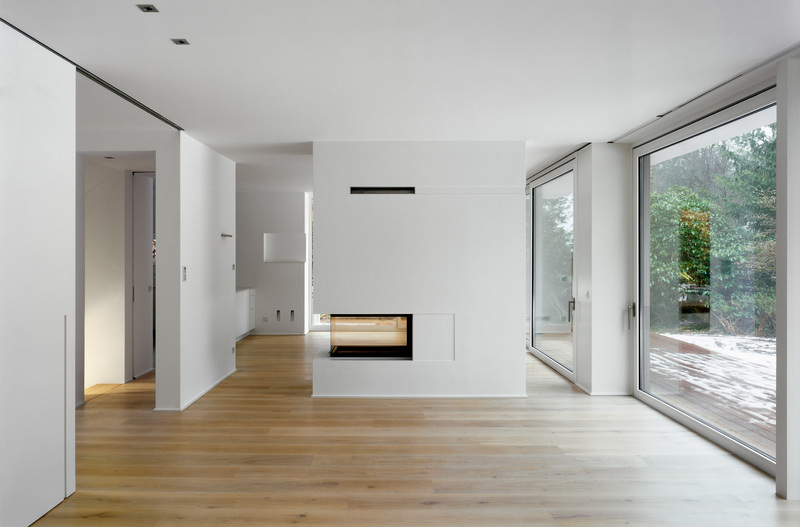 The interiors project a modest and spacious appearance. 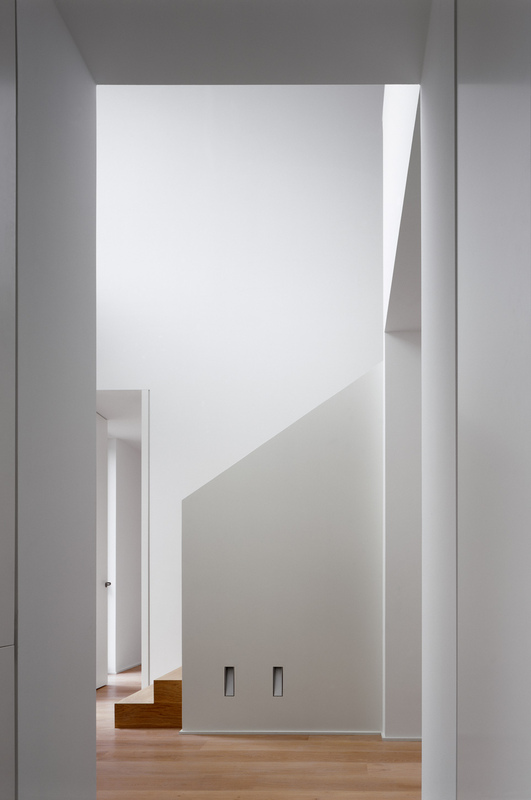 The entrance has a ceiling height of 6m, with the room layout on the ground floor following the open-plan principle. 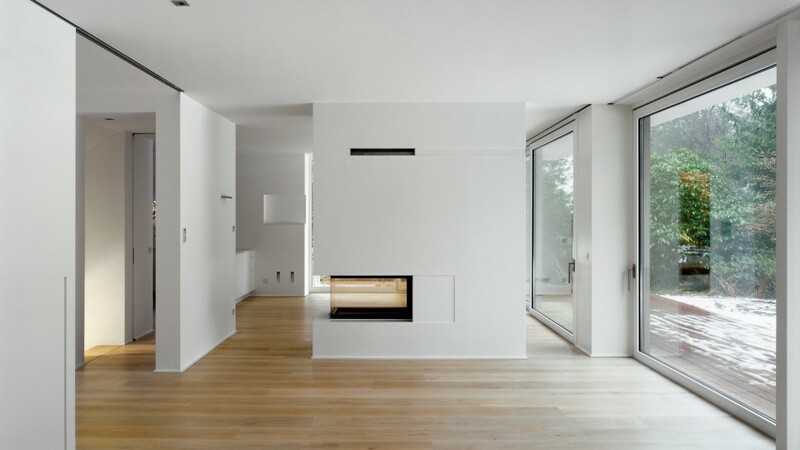 With built-in furniture, the interior becomes part of the architecture and affords the rooms a pleasant tranquility and clarity of design.